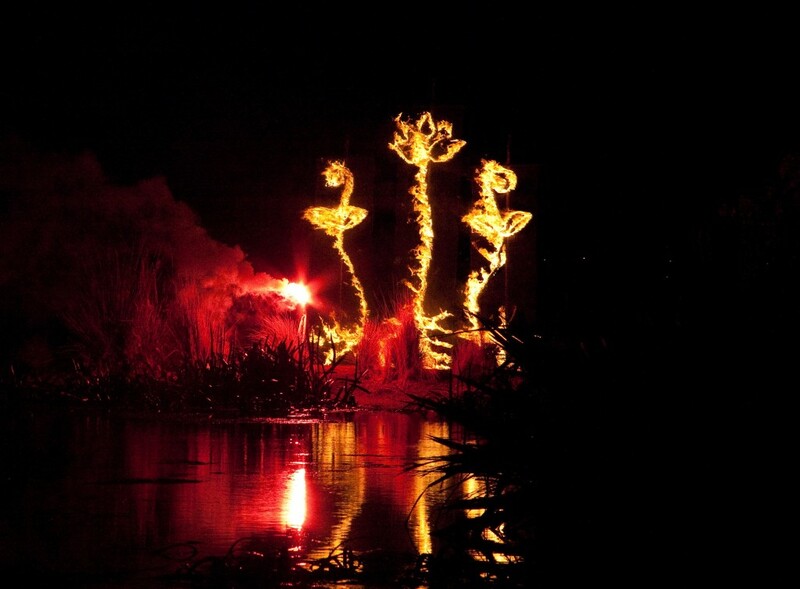 In the summer of 2009, at the end of a 10 year drought, a small fire was lit on the dry lakebed of Lake Wendouree, Ballarat, to burn off weeds. This fire burned on for days, going deep into the peat underneath the lakebed. I was inspired by this symbol of an eternal fire that could not be extinguished, and it became a unifying force in my mind: connecting us with the natural world and bringing together cultures, from the past, present and future. That was the story of this piece. 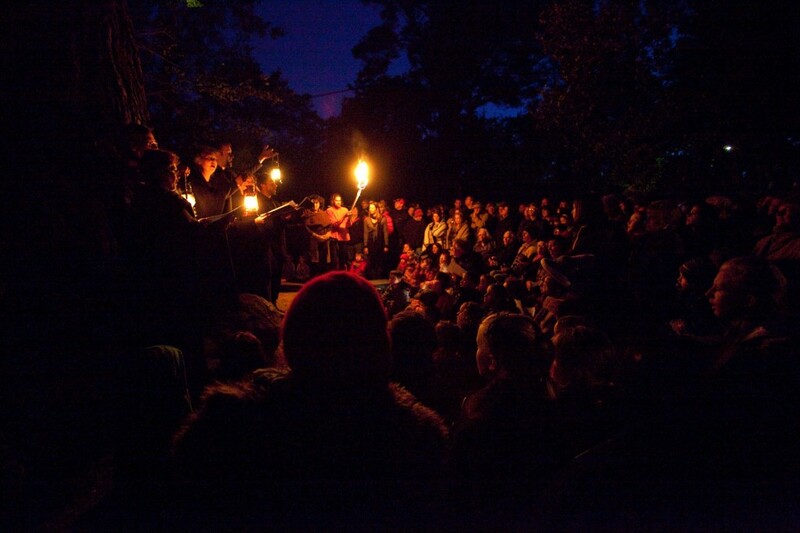 Illuminated by Fire was performed in Ballarat on October 2010 on a cold, but not wet, night in October, lit by a full moon. We moved from an indigenous playground, to a gully, and finally to a lake full of water. The audience travelled from one site to the next by tram. 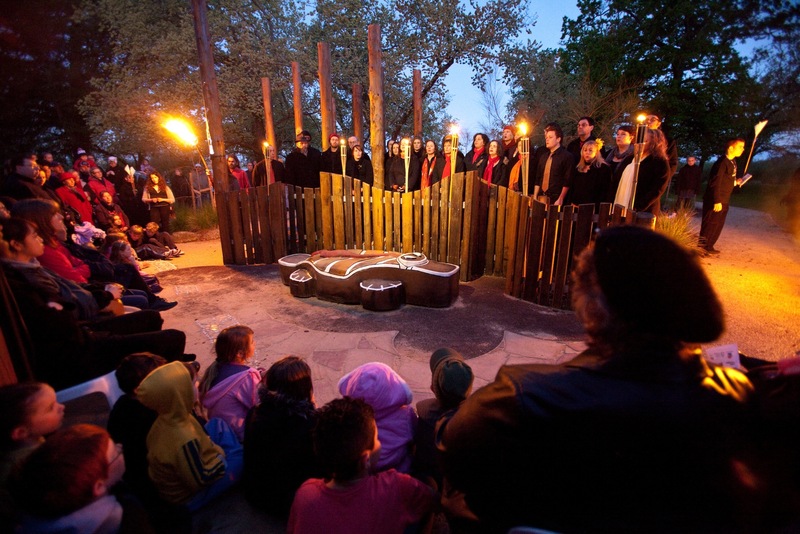 Classical, gospel and children’s choirs sang the story of this piece, and indigenous kids performed a fire ceremony at the end of the work. There were over 300 people at the performance. Illuminated by Fire was invited to be part of the Light in Winter Festival at Federation Square, Melbourne in June/July of 2011. 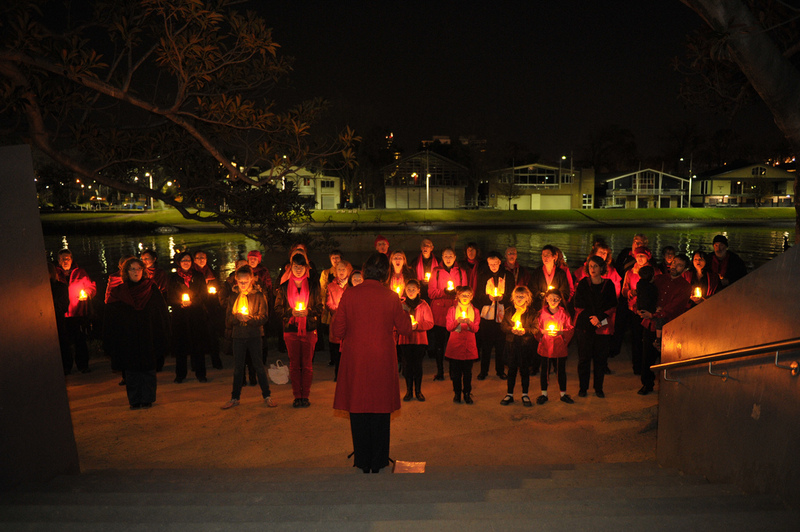 Sweet Mona’s Choir and St Patrick’s Primary School Choir (Ballarat) collaborated with the Willin Women (Williamstown) and the Victorian Trades Union Choir (Melbourne) and performed as part of the night event. 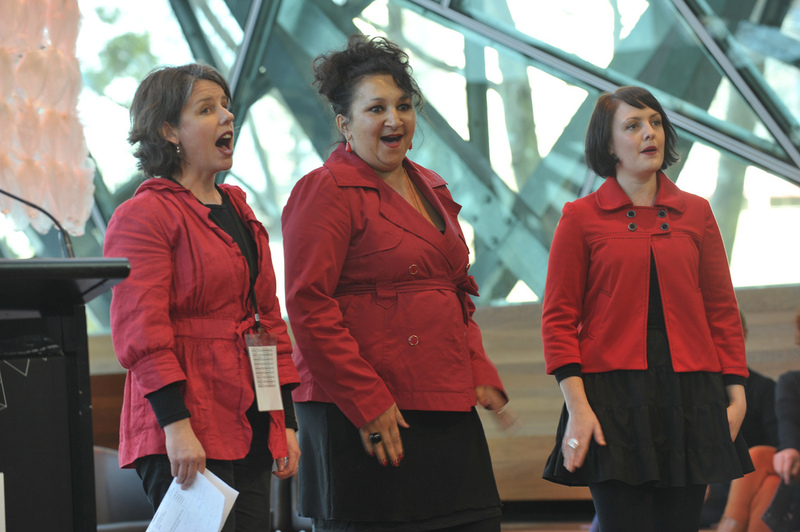 The Flamettes (Tracy Bourne, Maryanne Sam, Emma Clair Ford) led a daytime performance of songs and stories from the original performance.